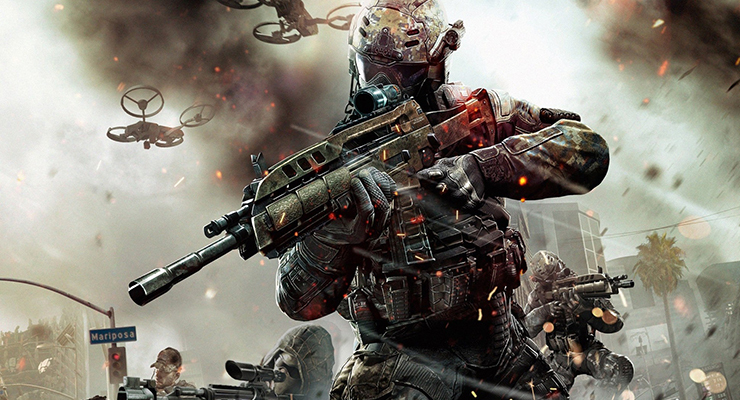 Call of Duty: -Black Ops 3 is an interesting video game that will be released soon. Its developer and publisher are Treyarch and Activision respectively. The video game is a continuation of the Call of Duty: -Black Ops 2 and can be categorised under the first-person shooter genre. According to information from reliable sources, it will be officially released on 6th November 2015 for Microsoft Windows, Xbox One and PlayStation 4 devices. Another version that will have limited features will also be made available for Xbox 360 and PlayStation 3. The latter will have the capacity of supporting multiplayer modes. Call of Duty: -Black Ops is set in the year 2065 in a dystopian future. Several powerful countries across the world have developed ultra-modern air defences which effectively make air assaults useless. Most of the countries therefore engage in warfare by using covert operatives who fight behind enemy lines. Additionally, advancement in science and technology has fundamentally changed not only the nature of human beings but also the landscape. These factors have made people engage in violent protests against any further scientific and technological advancement (which scientists describe as progressive). According to rumours, the video game will consist of two zombie storylines. The first, Shadows of Evil, involves the following new characters; Jeff Goldblum, Ron Perlman, Heather Graham and Jack Vincent. The characters live in Morg City and are placed under the guidance of Shadow Man, a character who’s very unreliable and mysterious. The Giant (second zombie storyline) involves alternate versions of the following original characters; Steven Blum, Nolam North, Fred Tatasciore and Tom Kane. Black Ops 3’s campaign is specially designed to support a cooperative game play involving four players. The campaign is designed with its own system of progression that consists of unlock tokens which are instrumental in acquiring different weapons. Players have the ability and freedom of customising their characters, visual appearance and gender. People who are interested in Black Ops 3 can pre-order the video game for their PlayStation 4, PC or Xbox One devices. Those who place their pre-orders will have access to the video game’s multi-player beta in addition to in-game items such as Advanced Supply Drops, custom reticles, a calling card and an emblem. On 29th September 2015, Call of Duty’s official Twitter account was renamed Current Events Aggregate for a few hours. The account’s administrators then started tweeting about an alleged terrorist attack in Singapore, real life fashion and music. Experts later revealed that this was an attempt by Call of Duty to promote the upcoming Black Ops 3. The marketing campaign was seriously criticised, with the blame falling squarely on the video game’s publisher (Activision).